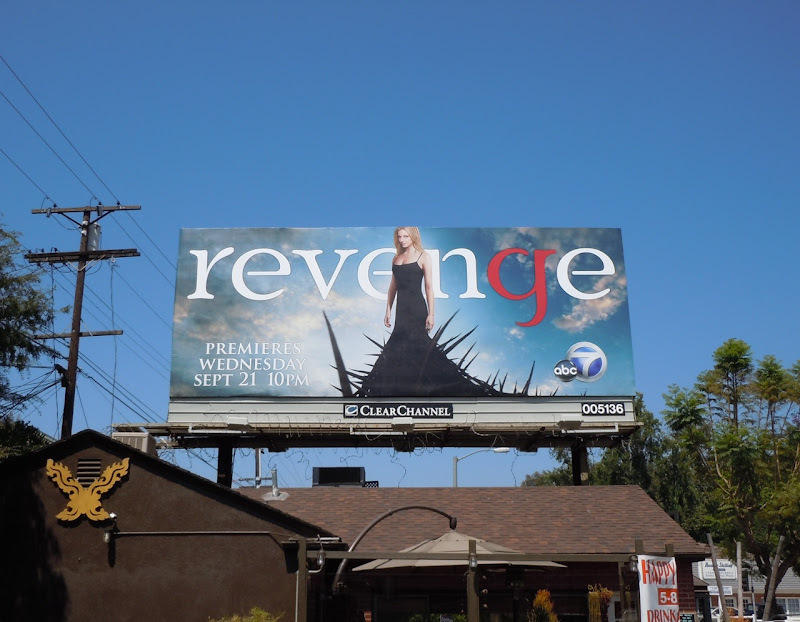 Sometimes you can't fail to notice a billboard as you drive by and that's especially true of this creative for new drama, Revenge, which really captures your imagination with its emotionally charged title and striking visual. Set to star Emily Van Camp of Everwood and Brothers & Sisters fame, as the name suggests the series will be about her a character, 'Emily Thorne' (hence the spiky dress), arriving in The Hamptons to exact revenge on the people who destroyed her family. 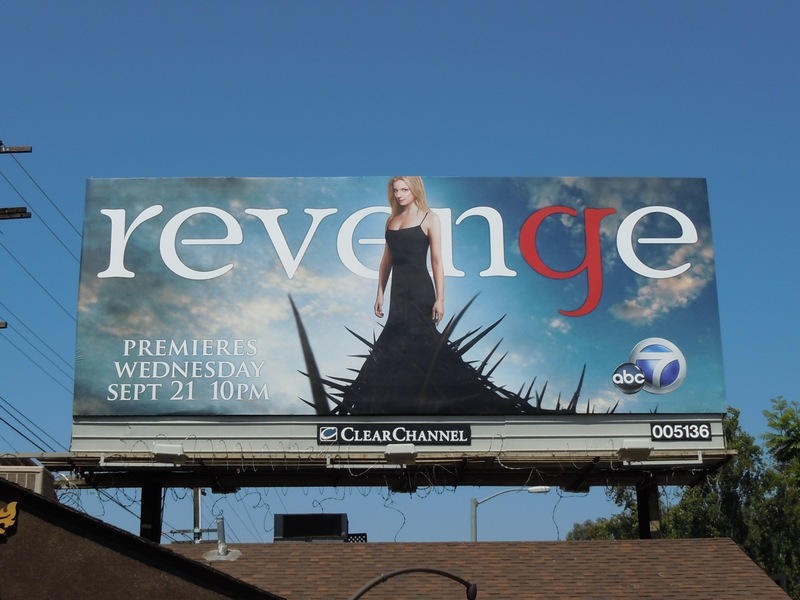 This dramatic billboard for the new Fall television season was snapped along Barham Boulevard at De Witt Drive on August 13, 2011.